John was one of 10 children to James Stanaway and Eleanor (Elinor) Giles, they were married on 10 January 1801 in Probus Cornwall. James was reported to be a mason (stone worker), and was born and lived in Probus, Cornwall. This branch of the Stanaway family appear to have lived in the Probus area of Cornwall for a number of generations. Our records show that John was the fifth child (third son) of ten children. 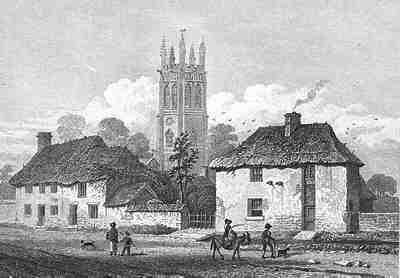 We can trace the family tree back to 1638, all of whom lived and died in and around the village of Probus, Cornwall. John’s siblings were; Eleanor (1804-???? ), James Giles (1807-1904), Elizabeth (1809-???? ), Samuel (1811-???? ), Samuel Giles (1815-???? ), Frances (1818-???? ), Caroline (1823-???? ), Marianne (1823-???? ), and Joanne (1826-????). John’s grandparents were; Melchizedek Stanaway (born about 1749-1821) and Joanne Polkinghorne (1748-1851), married on 10 January 1778 in Probus, Cornwall, they had four children. On John’s mother’s side were Timothy Giles (1758-1837) from Kea, Cornwall (approximately 8 miles south of Probus) and Joan Eddy (1765-1800). A full record going back a number of generations can be found in the Hotton Tree web site http://www.hotten.net. We do not know when but at some point James and Eleanor move from Cornwall to Camberwell which is on the outskirts of South East London where John is born. We have no record on John’s early years we can only assume that his early years were much the same as the majority of children born at this time and at the same station in life, there would have been some degree of education as he later showed he could both read and write. 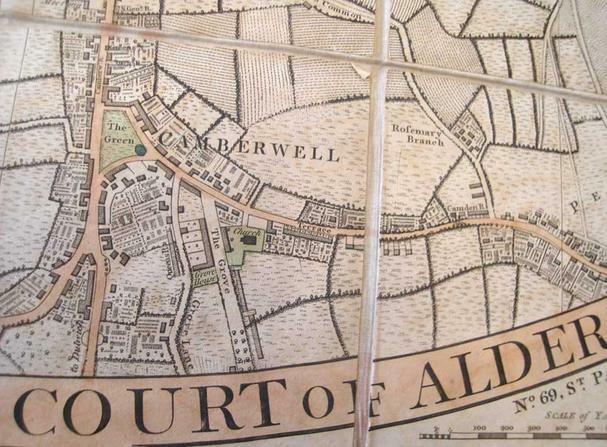 1806 map of Camberwell, London England. Records show he was baptised in Cornwall, this stands out as unusual, but it seems as though all the Stanaway children were taken back to the family Parish in Probus, Cornwall to be baptised. The fact that he is one year old is also not so unusual, as at the time people would wait some time before going to the expense of a baptism, as quite often the infant could well die before their first birth day. Often these children were buried in mass unmarked graves, particularly when times were hard. While searching family records you do come across children who, from the same parents, bare the same name as other siblings, nine times out of ten the you find the child who had the name first has died young and the parents have simply used the same name for their next child. Among the books and papers of Ngati Hemi’s and his family the following note was found confirming John James Stanaway coming from Camberwell, Surrey, England. Note from Ngati Hemi’s documents (cleaned up from the original). – Tides of Time. OLD COURT.—Saturday, October 24th, 1840. Second Jury, before Mr. Common Sergeant. WILLIAM JOHNSON was indicted for stealing, on the 12th of May, 5 gowns, value 1/. ; 8 yards of printed cotton, value 5s. ; 1 shawl, value 5*. ; and 1 cask, value 2s. ; the goods of Eleanor Stanaway.—2nd Count, of James Stanaway. John Mawley. I went with the prisoner with the cask to Mrs. Stanaway’s—I know nothing about the cask which she gave him—I heard the prisoner say something about her uncle at Cornwall—he said he was going next week—I cannot tell whether he went or not—the cask we took came from Chamberlain’s wharf, Tooley Street—I am employed by Mr. Hunt— the prisoner went with me when the prosecutrix paid me for the cask—he heard her say the cask was to be returned—he and I used to work at the same place at one time. John Hunt. I am clerk at Chamberlain’s wharf, in Tooley Street. There has never been a cask directed, as the prosecutrix states, at our wharf —if there had been I should have known it—I know the prisoner by sight. —I do not know what he is—Mawley is employed by me—I am sure I never received the cask in question from the prisoner, nor was it ever shipped at our wharf—these bills belong to our wharf. Thomas Bolton. I am a policeman. On the 30th of September I received charge of the prisoner—he acknowledged going along with Mawley to take the cask, but denied going next day to receive it. Prisoner’s Defence. I was at work at the wharf, on and off, nine or ten years, which Mr. Hunt knows; I went with Mawley on this morning, as I had nothing to do; the cask was to be delivered at the Pewter Platter, in Gracechurch Street; Mawley said we might as well go round with it, and charge the shilling, instead of giving it to the carriers take; so we went, but I never heard any more about it till I was at work on the wharf, and Mawley came to me and said, “Bill, have you been after the cask?” I said, “No.” He said, ” If you have, you had better keep out of the way.” I said, “Why should I keep out of the way.” and I have been on the wharf ever since; I never had the cask in my hand. Eleanor Stanaway re-examined. I am sure he is the person I gave it to. GUILTY. Aged 25.—Confined Six Months. This event had likely transpired after John had left for the South Pacific (we have John in the Hokianga area before mid 1841). If he had maintained contact with his parents no doubt he would have read all about it in their correspondence. What happened to John’s parents and siblings we have not investigated, it has been mentioned that they may have emigrated to Canada then to America at some point but it appears that at some time around 1862 John had lost contact with them, evidence is in the Daily Southern Cross newspaper on 4 April 1862, he has a letter returned to him for collection, it was addressed to Dartford. Perhaps this was the last know location he had for his parents, we will never know. But it is worth pointing out that Dartford is now part of the greater London area (East End), just inside the M25, and is approximately16miles further East from Camberwell). From research currently underway by other family members it appears that Johns brother James spent some time in Australia in the 1850’s when he married for the second time before returning to America. I have more information on his siblings including James Giles Stanaway, known as “Pap”. He was a “49er” and followed the gold rush out to California with some of his sisters following him. After a few years in Victoria, Australia, again following the gold rush, he and his family settled in the west including Milton, California and Reno, Nevada. I am very interested in learning more about the Stanaway family. I have some information but it is disjointed and clearly needs to be connected. I have information about John Stanaway, December 16, 1842 – 1927, born in Cornwall, came to America, also information about his wife and his children and grandchildren. I also have some information on his parents though it needs to be verified. My uncle who had 14 children named each of his boys after known ancestors thus the same names keep popping up generation after generation. I am planning on visiting Cornwall, specifically Probus this Christmas and hope to gather more information. At present I am in Madrid, Spain where my husband is a visiting professor at the university. I have sent your email address to Alison she will be in contact shortly, she would be the best to run through what you have. I have been to Probus and the Church there, my wife is Cornish and is from a town to the north of Probus. I was lucky and the church was open, and I had a chat to people there – I believe the records are no longer held there but have been moved to St Austell, I did have a copy on a notice at the church where the details have been moved to. It had contact details but am unable to put my hands on it at the moment. It will be nice at Christmas – let us know how your trip goes. Hi Jean, I am happy to share what I have so far. If you are on Ancestry.com my tree is under adkissling and you can just send me a message then I will send you an email. Otherwise you will need to contact Greg, the owner of the website, to get my email. I will let him know that this is ok. Thanks! Is this the same John James Stanaway that came to New Zealand? If so, my family are descendants and have done extensive research to trace our family tree.